Look out, Sarah! There’s a clown about to attack you. Ahh the problems of a dress down day at work. Jane forgot about it and Jeff… well… he’s on extended leave. Standing at a 45 degree tilt on a concrete staircase with a slippery, blood-soaked surface is impressive. That hairdryer she’s holding must be much more powerful than it looks. Well, at least an Evil Clown is a change from the more traditional vampire sidekick. 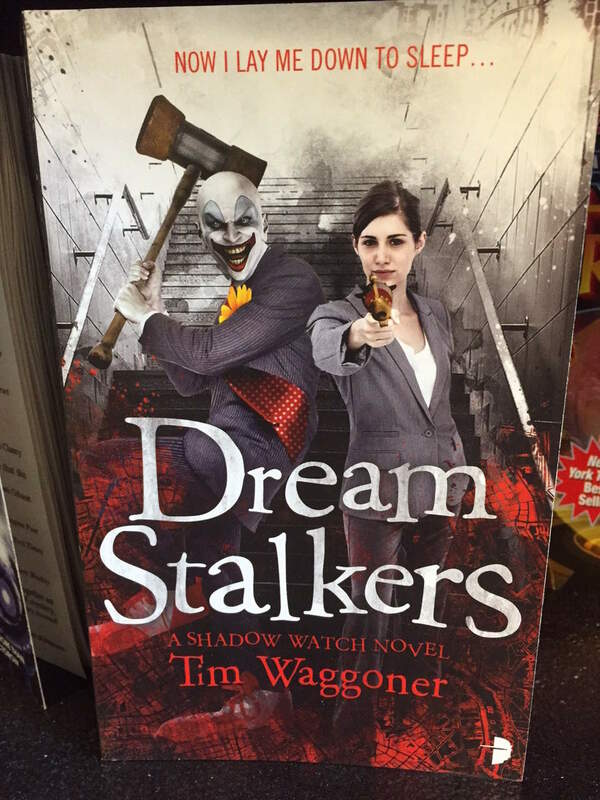 Do you suppose they *fight* Evil Clowns? You know, he’s an Evil Clown, too, but the twist is, *he’s* on the side of good… er… apart from being evil, of course. Don’t think she is aiming between the eyes, or at any part of the upper body for that matter. If the suspect turns out to be a whack-a-mole machine he’s in BIG TROUBLE!!! The blurb “Now I lay me down to sleep…” sounds suspiciously like passive-aggressive sarcasm from the editor. Is that the staircase with the cat? Is that where the blood came from? #7 … Bibliomancer, you actually reduced me to a coughing fit with that one. Good show indeed!